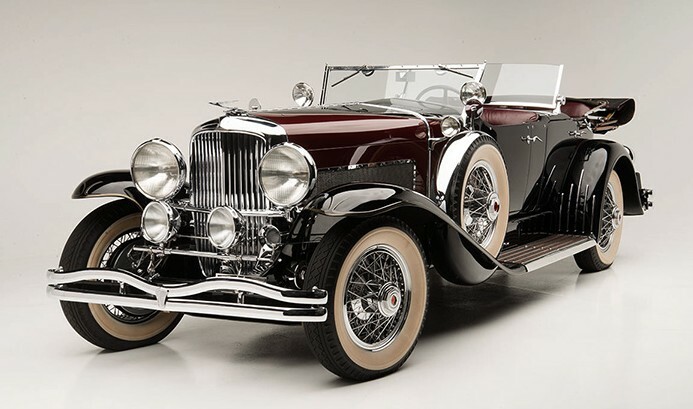 The Model J Duesenberg has always been a collectible car. People started buying these up when they were just 10-year-old cars and hoarding them. This action saved many of them and they have a fantastic survival rate for their age. Prices have undergone fluctuations, as this car sold in 2011 for just $363,000. 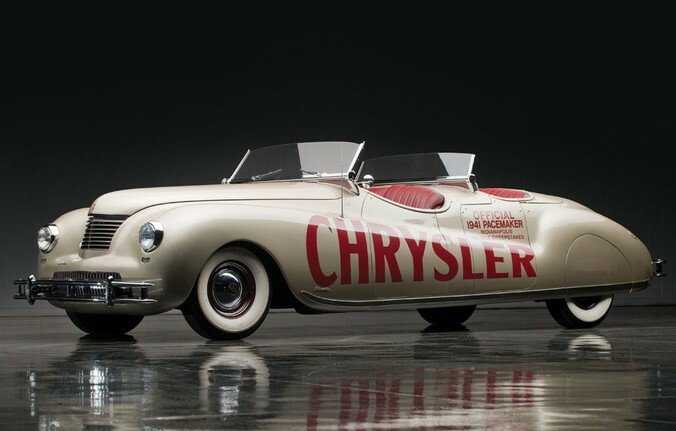 They were powerful cars in their day, with a 265 horsepower, 6.9-liter straight-eight providing the motivation. 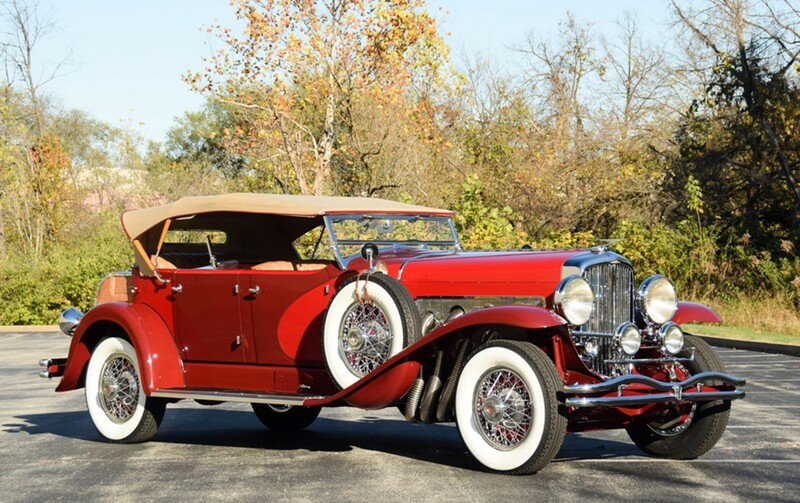 All sorts of body styles were offered by coachbuilders (as Duesenberg only sold the bare chassis/engine combination… you had to provide your own body). Among the most popular bodies was the Dual Cowl Phaeton seen here. This car is far from original, unfortunately. It’s composed of original, period parts, but it was more or less assembled that way. For instance, it rides on a replacement chassis, the body was crafted in the style of LaGrande – but the engine is real. At any rate, it is wonderfully presented and should top the price it brought five years ago. Click here for more info and here for more from Barrett-Jackson. This is an actual Model J Duesenberg but it’s had some work done to it. 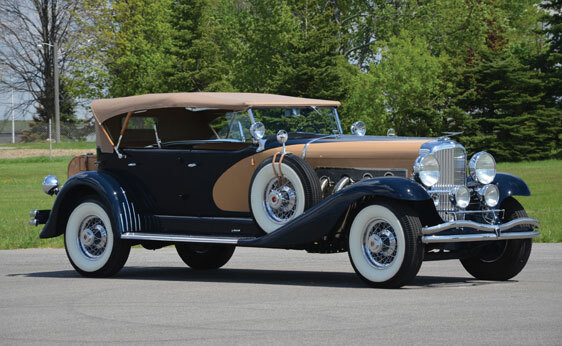 When new, it was delivered to the Vice-President of the Cord Corporation with a LaGrande Dual-Cowl Phaeton body that looked exactly like the one you see here. Apparently he used the car for some time before putting a Willoughby Berline body on the car and selling it as a new car (nothing like being the head of an automaker and more or less just making up a car’s “newness” factor because it’s convenient to you). 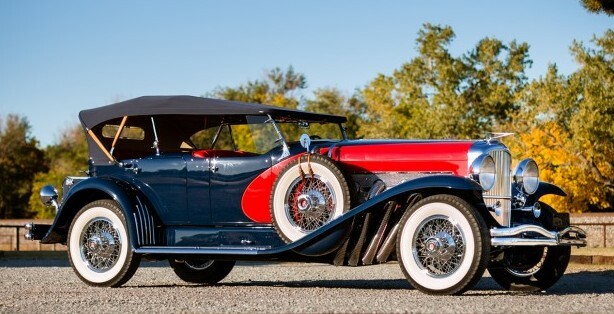 Anyway, it sold and the chassis/engine numbers are both near the very end of Model J production – almost as high as you can go as 1937 was the final year for Duesenberg. Some time later, the car was re-fitted with the body you see here. It’s an exacting re-creation of the original LaGrande Dual-Cowl Phaeton. It is not original but plays the part very well. It has also had a supercharger added to it to bring the 6.9-liter straight-eight up to “SJ” specification and 320 horsepower. It is not a factory SJ car. This is a very desirable body style, even though it is not original. But it should still bring a very nice price (in the $600,000-$1,000,000 range). Click here for more info and here for more from Auctions America’s Auburn Fall sale. Update II: Not sold, Barrett-Jackson Scottsdale 2015, high bid of $700,000. Update III: Sold, RM Sotheby’s Motor City 2015, $852,500. The engine in this car is a 2.0-liter straight-eight generating between 65 and 70 horsepower, realistically. The eight-cylinder engine was more powerful than that four-cylinder in the Brescia but also had similar lightness and even more appeal. The story on this car is that it was taken to the U.K. after WWII in the hopes of turning it into a race car. All that ended up happening was that the body was removed (and subsequently disappeared). Someone else acquired it and decided to restore it in the early-1980s. He had a new body built – a Dual-Cowl Torpedo in the style of Lavocat et Marsaud. This car also has it’s original chassis plate and engine (although it has undergone serious work). 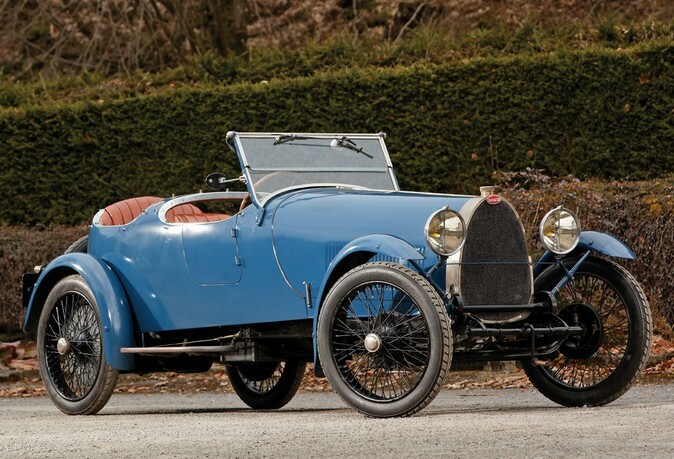 About 600 Type 30s were built and there are some with original and more desirable coachwork. This one is nice and has been repainted in Bugatti blue within the last five years. This failed to sell at a different auction in 2008 with an approximate estimate of $225,000-$265,000. RM hasn’t published an estimate yet, but I expect something close to that, if not a little less. Click here for more info and here for more from this sale.